It's no secret that I have issues with my skin (on my face that is) and even have problems with spots still in my late forties. 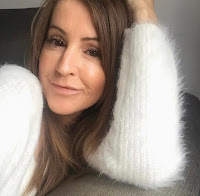 I've had problem skin all my life and I've harped on about it so much on this here blog and on social media. As I said, always had spots but more than ever in the last 6/8 months or so. Not sure if has something to do with the impending menopause, not quite there yet mind. Oh the joys of being a woman! These spots [and I had plenty of the little blighters] were really getting me down, if you suffer with spots you'll get it, and quite frankly I didn't know which way to turn for help. I'd had antibiotics from the Doc, they worked fabulously, whilst I was on them, stop and they'd all be back again in no time. I mean I'm not talking acne here but I think any amount of spots can affect your confidence can't they? They get you down. So, enough waffling, let me tell you about a product [well 3 to be fair] that have cleared my skin. 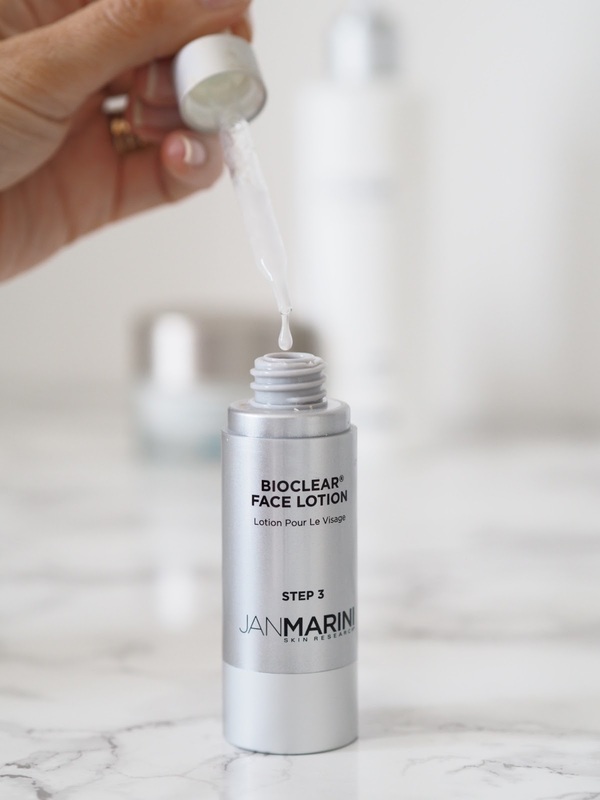 The absolute star of the show is the Bioclear face lotion and has been a total game changer. But, let's start in the right order. I use this as my second cleanser in the evening. 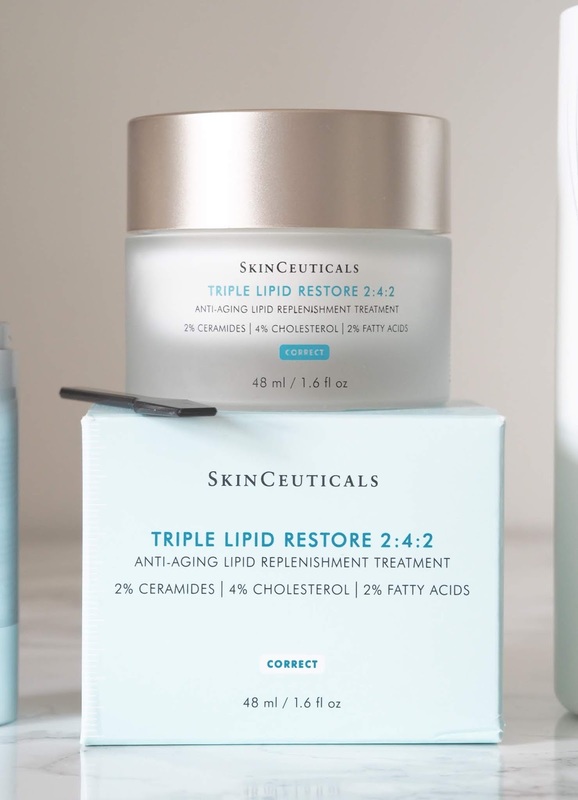 It's contains glycolic acid, as the name would suggest and it's great for let's call it, complicated skin like mine! It helps to provide that bit of resurfacing our skin needs, helps to get rid of the dead skin cells that can build up, block pores and cause spots. It's anti-inflammatory and helps to reduce redness too. You may think that an acid cleanser would be harsh on your skin but this is gentle, non-irritating, soap and paraben free. As with all products that contain any type of acid, go gentle to start with, build up slowly. Now I refer to this as the star because when I first got this I wasn't using the other two products alongside it, so I know for sure that it's AMAZING. 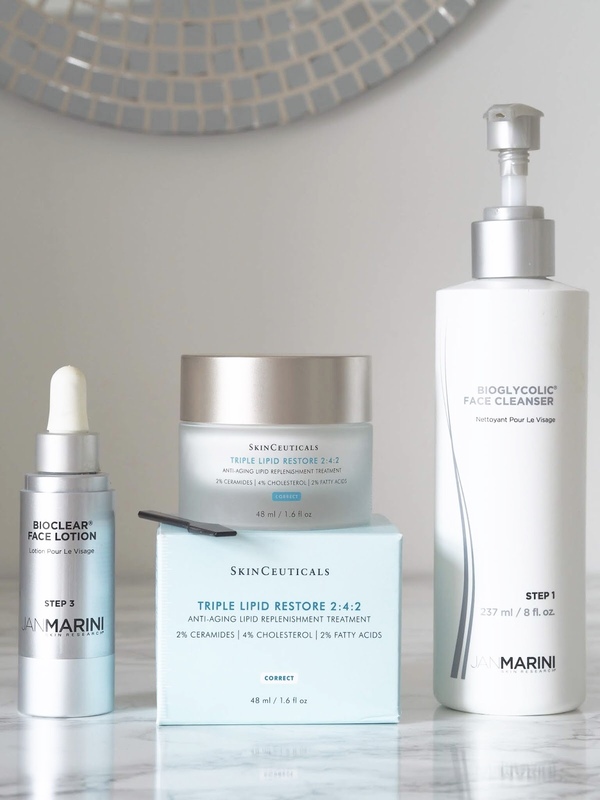 This particular product was recommended to me by Kate, an online skincare advisor at Dermacare Direct. Kate is on hand to give you expert, professional advice with any of your skincare woes. I can honestly say this has worked exceptionally well on my skin. It's cleared it up beyond my wildest dreams and not only that, my skin looks more radiant, clear and smooth. I cannot tell you how happy it's made me. Seriously. 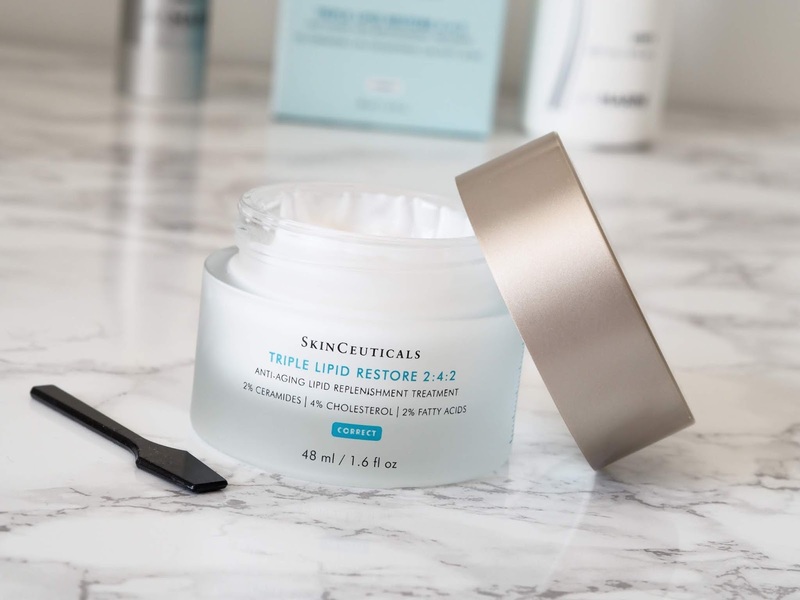 It contains glycolic acid, salicylic acid and natural acids to help with conditions such as acne, acne scarring, hyperpigmentation and anti-ageing, lines, wrinkles, you name it it'll help! The glycolic helps to resurface and the salicylic helps to purge the skin of bacteria and clears out the pores. For me, it's a miracle solution in a bottle. I don't have the words for how good it's made my skin look. Within a week I could see a difference, not all my spots had gone, but there was a marked improvement and now at about 6 weeks in even the redness from spots I had months/years ago have faded. This is one product in my beauty regime that I will NEVER, EVER be without. The end. Not quite the end :) as I need to finish the routine with a moisturiser. I had a little sample of this product, I fell in love and so did my skin. To be fair I've thrown various moisturisers at my face, some drugstore cheapies, the ones that will moisturise the top layer but not go any further, some cosmeceutical strength ones that get right in there in the deeper layers but none of them have made me say "wow, I can really see a difference!" Until this one. This is a super lightweight cream that moisturises, plumps and rejuvenates the skin. The cleanser cleans my skin beautifully, the bioclear sorts out my spots and this makes my skin glow. Now, then, the not so good bit to this cream is that it is VERY expensive, but I splurged with some birthday money. I doubt I'll be able to afford it again, not until next birthday at least and I doubt it'll last that long. Hmmmm......Santa's coming soon! Seriously though, if you suffer with spots, pigmentation, scarring, those sorts of skin issues then go for the bioclear lotion, I know you won't regret it. They also do it in a cream formula if your skin is very dry. I might switch to that in the winter, but who knows. It has honestly changed my life, I know that might sound a tad dramatic, but it has. Don't get me wrong I still get the odd hormonal spot or two but those I can cope with! If you're unsure of what to order or need any skincare advice don't forget to drop Kate an email or give her a call. All the details can be found right here. You might also like to read: Experiencing the hydra facial at Hampton Clinic.